KIDS FIRST! Jury Blog » Blog Archive » We’re Going on a Bear Hunt – Vibrant Visuals and Brilliant Musical Score Make The Story Come to Life! We’re Going on a Bear Hunt – Vibrant Visuals and Brilliant Musical Score Make The Story Come to Life! Based on the bestselling bedtime story book written by Michael Rosen and illustrated by Helen Oxenbury, which has sold over 11 million copies globally, the film follows siblings Stan, Katie, Rosie, Max, the baby, and Rufus the dog, who decide one day to go on an adventure through whirling snowstorms, oozing mud, and dark forests in search of bears! Featuring the voices of Olivia Colman (The Night Manager, Broadchurch), Pam Ferris (Matilda, Call The Midwife), and Mark Williams (Harry Potter), this animated story is filled with stunning visuals sure to enchant viewers along with its story of perseverance, optimism, and love of nature. KIDS FIRST! Adult Juror Terry Solowey comments, “The vibrant visuals and brilliant musical score add a special quality to telling the story of a group of five siblings and their dog Rufus who decide to go on a bear hunt while their parents go to aid Grandma and her broken down car.” See her full review below. This animated film, based on the best-selling storybook We’re Going on a Bear Hunt written by Michael Rosen and illustrated by Helen Oxenbury, brings the story to life! 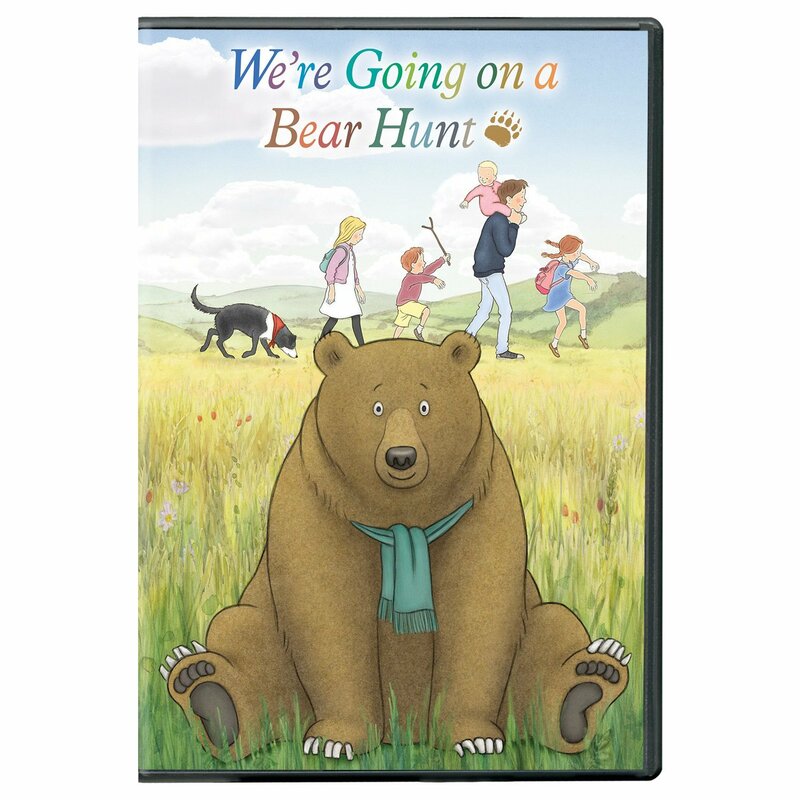 The vibrant visuals and brilliant musical score add a special quality to telling the story of a group of five siblings and their dog Rufus who decide to go on a bear hunt while their parents go to aid Grandma and her broken down car. When one of the siblings, Rosie and their dog Rufus become separated from the rest of the family, their adventure takes an interesting turn, delivering more than they ever expected. I really enjoyed the suspense the additional storyline adds to the film. It brings an extra excitement to the story. Do the paw prints add up to anything? You will have to see this film to find out! I have fond memories of reading this story in my early teaching days as well as singing the chants with the children. Currently I read to children in the schools and look forward to sharing this film with them in addition to reading the story. The accompanying Adventure Field Guide is a perfect addition for children, teachers and families as a supplement to explore their own great outdoor adventures! I give this film 5 out of 5 stars and recommend it for ages 4 to 9 as well as parents, caregivers and teachers. It will be available on DVD February 13, 2018, so be sure to check it out. This entry was posted on Monday, February 12th, 2018 at 4:41 pm and is filed under Film Critics Blog. You can follow any responses to this entry through the RSS 2.0 feed. Both comments and pings are currently closed.